Your new favorite wines are closer than you think. 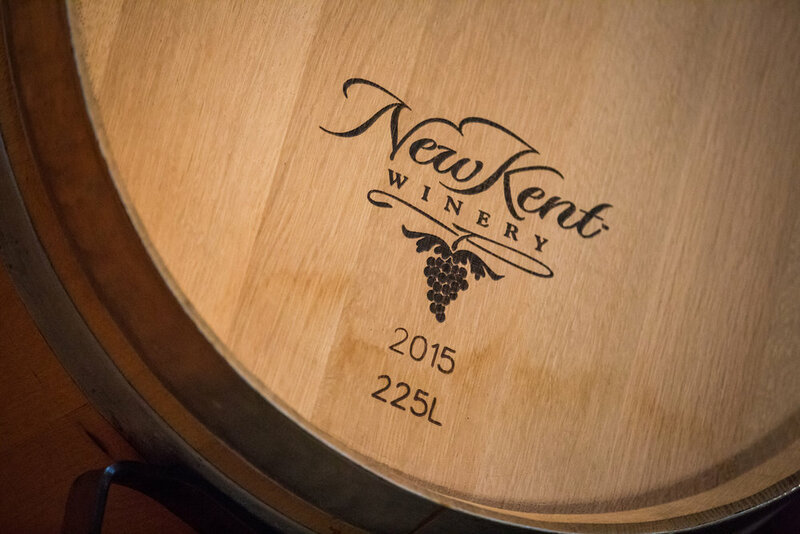 New Kent Winery is a family-owned and operated farm winery where we pride ourselves on true southern hospitality and providing an unparalleled selection of estate-grown, handcrafted wines that showcase our dedication to quality from vine to bottle. We know that making great wine starts with great grapes, which is why we begin our commitment to quality and attention to detail in our vineyards. With ten different hand-crafted wines being produced at New Kent Winery with the expertise of winemaker, Tom Payette, you are sure to find your new favorite wine at your next visit. With our charming setting and delicious wines, it is no wonder that the Vineyard Estate at New Kent Winery is an enormously popular venue for weddings and special events. With our various event spaces, we can accommodate many different types of events and will work with you to bring your vision to life. With events ranging from winemaker dinners to yoga and live music, New Kent Winery has special events planned to please all ages! Grab your friends and family and join us for some rest and relaxation in gorgeous New Kent County.